he story's moral is obvious: fairness, justice, and the courage to protect what is rightfully owned are embodied in the English lad who stands up to the weak, spoiled, cowardly German bully. Who would question the veracity of this tale, or its larger meaning? Thus, at home, at school, at church and in the community, the children and youth of Guelph were primed for a specific understanding of the nation's role in this conflict, and of their own duty to suport. Figure 2: Young Canada. Image courtesy of Children's Literature Library, Ryerson University. Figure 3: "Oh Please Do Daddy! Buy me a Victory Bond." Image courtesy of Library and Archives Canada (Acc. No. 1983-28-655). Bert Logan, George Chapman, Robbie Johnson and we boys had a big show in our cellar, acrobats and acts. Admission 3 cents. We made $ 1.11 lor the Red Cross. I am sending it to you with this. Yours truly W. Gordon Young. Figure 4: 1st Boy Scout Troop in front of the Sleeman's residence, 1915. Photo courtesy of Guelph Public Library Archives (F5-0-3-2-1-1). 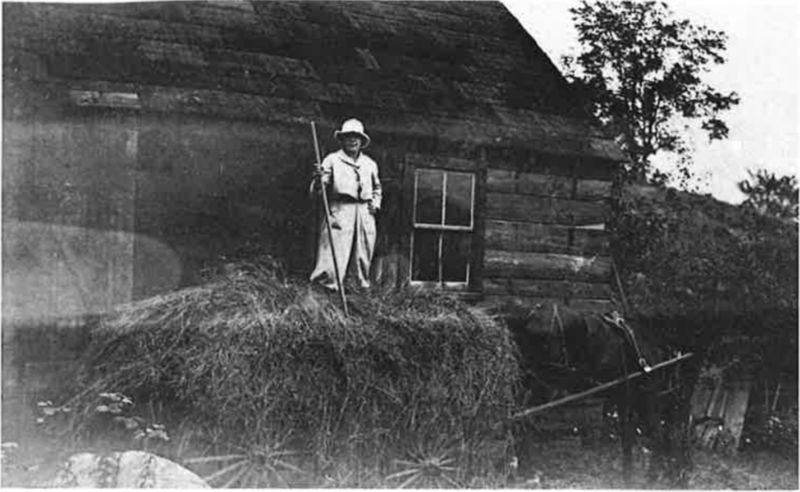 Figure 5: Winifred Matheson, "Farmerett", 1918. Matheson family photographs, Erin Twp., ca.1860 - ca.1960. Photo courtesy of Wellington County Museum 6 Archives (A2001.87). The giving up of "small indulgences" that was strongly urged on all Canadians did not spare the young either. The National War Savings Committee produced and widely distributed a Canada War Book, with succinct advice on saving time, food, fuel and money. Provincial education departments adopted a version "especially for the boys and girls of Canada." Teachers were required to spend at least five minutes on this "text book' in the classroom daily.22 Young Guelph also figured strongly in the related campaigns conducted by the new Canada Food Board, established in L917, These campaigns targeted housewives as well as youngsters. Even in middle-class families, many children and youth were already accustomed to tending gardens and small animals, in town as in the countryside.23 "Victory Gardens" were also promoted as a fitting project for children and youth because they corresponded to the "new education' initiatives that made school gardens integral to "manual training" prograrns. Instigated in 1917, Guelph's Vacant Lot Gardening Club was declared "the best in the Dominion'by the federal agriculture department early in 1918. The club could lay claim to the largest number of members and of gardens in all Canada. Figure 6: Soldiers of the Soil poster. Image is in the public domain. Sisters and sweethearts, heed our call. Out to the farms, maidens all!" By the farmers take their stand. Heres to you, staunch and true, Farmerette! Welcome garden tools and overalls. On a somewhat more refined literary level, such beloved childrent authors as Edith Lelean Groves produced a number of patriotic "dramatic drills" for performance in Ontario schools, including "The Soldiers of the Soil and the Farmerettes," which extolled the sacrifice of the young for the nation and the Empire.29 Such plays and drills were commonplace in elementary schools, especially on Empire Da¡ and at patriotic rallies. The Great War affected the generation growing up in its midst in ways both wide and deep. Its impact left few children and youth untouched. The toll of men, many of them young fathers and future fathers-66,000 casualties-was keenly felt in a sparsely-populated young Dominion. The Guelph Cenotaph commemorates 221 soldiers, the majority in their twenties, but also including at least 20 not yet out of their teens.37 Five of these were only 18 years old at their time of death. They had scarcely discarded their personal identification with "young Guelph" themselves, although mere enlistment was a quick and irrevocable step into adulthood. Their deaths dispelled their prospects for attaining adult citizenship. Giving up their fathers, whether temporarily or permanently, was the greatest sacrifice that the Great War extracted from the young. Even men who survived the carnage often re-entered families in which they were effectively strangers. Many of these were also wounded in body and in spirit, repercussions of war that would have long-term familial effects. Substantial numbers of Canadian children had little memory of soldier-fathers who had enlisted when they were infants, or even before they were born. Others had come of age without the presence or involvement of their fathers. And all too many would never know their fathers again. John Mitchell's son was an infant when he enlisted in September l9l4; Mitchell was killed in August 1918. Only 28 years old at the time of his death in 1916, Alexander McNicholl already had a wife and four children. Charles Parker died in the slaughter at Passchendaele; he and his wife had one young daughter. George Hall, who enlisted in 1915, was killed in April 1917, leaving behind a wife and five children. Forty- one years old at the time of enlistment in March 1916, with four children, the youngest eight-years old, John Mclelland was felled in August 1917. There are doubtless many such sad stories among the engraved names on the Guelph cenotaph that forever testify to their "service,and sacrifice. "38 Few residents in 1918 were unaware of families mourning sons, brothers, cousins, uncles and fathers. The war's generational consequences would reverberate well into its aftermath. Fourteen years old when it began, too young to fight but old enough to understand the stakes, writer Hugh Maclennan believed that "The First World War haunted us... We were all children of the First War, and its real horrors were just being revealed when we came of age. "39 Yet despite the tragedies that would imprint so many of the wartime generation of children and youth forevermore' even the slight historical evidence we can uncover the tragedies that would imprint so many of the wartime generation of children and youth forevermore, even the slight historical evidence we can uncover indicates that they were not sidelined, as much as age and gender defined the nature and extent of their contributions. Young Guelph took enthusiastic part in the unrelenting campaigns and chores of the home front. Much of the propaganda of wartime represented the young as victims and "causes", both for the Allied fight and for charity at home. The other side, however, as this discussion suggests' is that they were also wholehearted participantstoward the ultimate objective: Supporting Canada's role for bringing about victory for "British liberties". In their allotted role as metaphors for the future, the views and activities of children and youth in Guelph, as across Canada' during the Great War reveals much about the kind of society that Canadians wanted to preserve, and the kind of nation that they envisioned after "the war to end all wars." Robert Rutherdale explores the role of Guelph women in some detail in Rutherdale, Hometown Horizons: Local Responses to Canada's Great War (Vancouver: UBC Press, 2004). I'm using this classification, "Young Guelph;' to indicate school-age children and also adolescents of pre-enlistment age. On imperialist nationalism, the standard text remains Carl Berge¡ The Sense of Power: Studies in the Ideas of Canadian Imperialism (Toronto: University of Toronto Press, 1970); see also Mark Moss, Manliness and Militarism: Educating Young Boys in Ontario for War (Don Mills, Ont. : Oxford University Press,200l); Susan Fishe¡ BoTs and Girls in No Man's Land: English Canadian Children and the First World l4lar (Toronto: University of Toronto Press, 2011). Cited in The Guelph Evening Mercury and Advertiser; September 25, 1914. John E. Hurst, "john McCrae's Wars," in Briton C. Busch, ed. Canada and the Great War (Montreal/Kingston: McGill-Queen's Universily Press, 2003), pp.67-8. Leo Johnson discusses Guelph's prewar military history in Johnson, History of Guelph, i82Z-i927 (Guelph: Guelph Flistorical Sociery 1977), pp. 299-306. See photograph, "lst Boy Scout Troop in front of the Sleeman's residence, 1915," File F5-0-3- 2-1-l.jpg, Guelph Public Library Archives. On scouting and militarism, see Moss, Manliness and Militarism, pp. ll5-6; also Patricia Dirks, "Canada's Boys: An Imperial or National Asset? Responses to Baden-Powellì Boy Scout Movement in Pre-War Canadal' in Canada and the British World: Culture, Migration, ønd ldentity, ed. Phillip Buckner and R. Douglas Francis (Vancouver: UBC Press, 2006), pp. I 1 I -28. See, for example, The Canadian Girls Annual (Toronto: Cassel and Compan¡ 1916); Young Canada: An Illustrated Annualfor Boys Throughout the Englßh-speakingWorld (Toronto: William Briggs, 1918). Susan Fisher, B oys and Girls inNo Man's Land: English Canadian Children and the First World War (Toronto: Universily of Toronto Press, 2011), p. 82, pp. 88-9. On the imperialist tenor of school texts, see also Nancy Sheehan, "Philosoph¡ Pedagog¡ and Practice: The IODE and the Schools in Canada, 1900- 1945;' Historical Studies in Education 2,2 (1990): pp.307 -21; and Sheehan, "The IODE, the Schools and World War Il' History of Education Review 13, I (1984): pp.29-4t. Sir Edward Parrot, The Children\ Story of the War (London: Thomas Nelson and Sons, l9l5), v l, p. 35. Dominique Marshall, "Humanitarian Sympathy for Children in Times of War and the History Evening Mercury and Advertiser, January 2, 1918. The news paper reported a "large attendance" of Children's Rights, 19 l9- 1959'l in James Marten, ed. Children and War: A Historical Anthology (New York: New York University Press, 2002): pp. 84-99. On the Canadian Patriotic Fund, see Desmond Morton, Fight or Pay: Soldiers' Families in the Great War (Vancouver: University of Toronto Press, 2004). Fisher, Boys and Giris, pp.8-10. Guelph Evening Mercury and Advertiset January 8, 1915. Fisher, Boys and Girls, pp.9-10. Morris Manley, "Good Luck to the Boys of the Alliesl'Toronto: 1915. See Florence Hayes, "Good Luck to the Boys of the Allies'l The Encyclopedia of Music in Canada Online: www, canadianencyclopedia.com; also the Sheet Music Collection, York University Library and Archives, available online: http://hdl.handle.netl1031519653; lonathan Vance, A History of Canadiøn Culture (Don Mills, Ont. : Oxford University Press, 2009): pp.220-3, Little Miss Mildred Manley headlined at the "Big Sox Shower" held in Toronto in October, 1916; more than 1200 pairs of socks were collected. See "Big Sox Shower for Sportsmen's Battalion," The Toronto World,October 7,1916. See, for example, the front page editorial in the Guelph Evening Mercury and Advertiser, August 20, l9l4; Robert Rutherdale, "Send-offs During Canada's Great War: Interpreting Hometown Rituals in Dispatching Home Front Volunteers," Histoire Sociale/Social History 36,72 (2003): pp. 426-64. Philip Morris, ed. 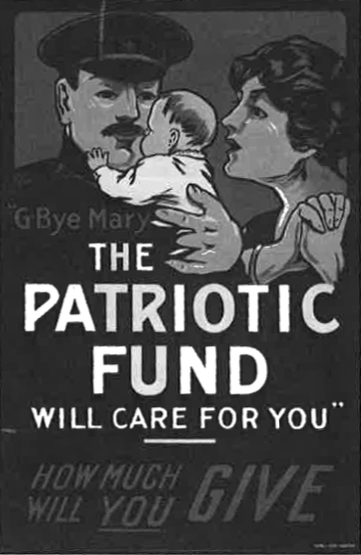 The Canadian Patriotic Fund - A Record of lts Activities, 1914-1919 (Ottawa: Canadian Patriotic Fund, 1920), 194-5, Morris was the CPF's Executive Secretary; this is the organizationì official report. See also Sir Herbert Ames, "'Fight or Pay': Canadaì Solutioni' Tfte North American Review 205, 739 (June 1917), pp. 851-864. "Great Interest Being Shown in Red Cross Workl' The Guelph Evening Mercury and Adyertiser, September 3, 1915. Nancy Durham, "New Year's Resolutions," Circle of Young Canada page, The Toronto Globe, January 5, 1918. The children's newspaper clubs are discussed in Norah L. Lewis, ed. "I Want to Join Your Clubl' Letters from Rural Children, 1900-1920 (Waterloo, Ont. : Wilfrid Laurier University Press, 1996). Guelph Evening Mercury and Advertiser, January 10, 1918. The letter was signed Cpl. C Matthews, and it was dated Decemb er 17 , l9l7 . Jean McPhedran, Convener of Committee, Ontario Red Cross Sociery's Sock Fund, Empire Day Program, May 1915, p. 1. Fisher, Boys and Girls, 43-44; The Canada War Bookwas prepared by the War Savings Committee in 1918 and published by the provincial education departments for use in the schools. In Ontario it was titled The Canada War Thrift Book. On the federally appointed Fuel and Food Controllers, appointed in 1917, and the Canada Food Board, 1918, see Cynthia Comacchio, The Infnite Bonds of Family: Domesticity in Canadø, 1850- 1940 (Toronto: University of Toronto Press, I 998), pp. 67-8. Guelph Evening Mercury and Advertiser, |anuary 10, I 9 I 8. Department of Agriculture advertisement,The Guelph Evening Mercury and Advertiser, April 13, r9r8. "The Canadian Boy as a War Helperi' Guelph Evening Mercury and Adttertiser, April 6, 1918. Norah L. Lewis, "'Isn t This a Terrible War?' Children's Attitudes to Two World Warsl' Historical Studies in Education 7 (Fall 1995): pp. 193-215; also Lewis, "I Want to Join Your Clubi'p. 10. "Farmerettel' signed "Maid o' the Dunkl' Circle of Young Canada page, Toronto Globe, July 27 , 1918. Edith Lelean Groves , The Soldiers of the Soil and the Farmerettes: A Dramatic Drill (Toronto: McClelland, Goodchild and Stewart, 1918). "Ups and Downs of 1917]' January2, 1918. Guelph Evening Mercury and Advertiser April 29,1918. OAC students, many ofthem older adolescents, supported the CPF throughout the war years; see, for example, "Works and Wants of the Canadian Patriotic Fund, OAC Review 29 (December l9l6), p.137. Gueþh Evening Mercury and Ailvertiser,lanuary 18, 1918. "Y High School Club Secretary Addressed Guelph Boysl' Guelph Evening Mercury and Advertiser, January 19, 1918. The Secretar¡ C.M. Wright, was travelling across Canada to Promote the new club for high school students within the Y; it would later come to be called Hi-Y. On the role of women of all ages, see the essays in Amy J. Shaw and Sarah Glassford eds. A Sisterhood of Sufering and Service: Women and Girls of Canøda and Newfoundland during the First World W'ar (Vancouver: UBC Press, 2012). Ed, Butts, "The Guelph Cenotaph: Names of the Fallen from the First World Warl'Guelph Mercury, June 25,2014. I am grateful to Ed Butts for his excellent series on Guelph during the Great War, published in the Guelph Mercury. The information about these individual fathers was gathered from two of these pieces: "Guelph Soldiers Gave Their Lives in 'Minor Operationsl" Guelph Mercury, Jantary 26, 2015, and "Guelph's First World War Deaths Werent Always on the Front Linel' Guelph Mercury, February 12,2015. H. Maclennan, "What It Was Like to Be in Your Twenties in the Thirties j' in Victor H oar, ed. The Great Depression (Toronto: Copp Clark, 1969),p.144.